CYT North Idaho is proud to present, Schoolhouse Rock Live!, a show performing in schools and theaters throughout the country! Based on a pop culture phenomenon from the 1970s, this fast-paced musical teaches math, science, grammar, and more with clever, catchy tunes! Seventy five local school children, ages 8-18, are busy in rehearsals for this upbeat show, which stays true to the original material. Parents who grew up watching it on television will love introducing it to their kids! Don’t have kids? Then come enjoy the nostalgia for yourself! 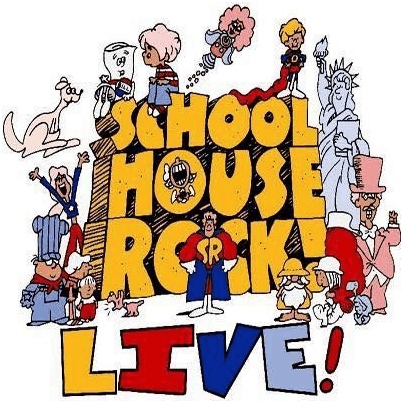 Schoolhouse Rock Live! opens at the S. A. Kroc Community Theater stage in Coeur d’Alene on Feb 24 and runs through Mar 5. Tickets range in price from $9-$15. Family Discount Matinee (all tickets $9) is on Feb 25 at 3pm. Discounted group rates, senior, and military discounts are also available. All seats reserved. To purchase online tickets and get more information about Schoolhouse Rock Live!, visit the website at: www.cytni.org or call the box office (208) 277-5727. Enjoy the show!